Erik was born and raised in a small town on the southwestern part of Kansas, called Liberal. After graduating from high school, he attended Seward County Community College and received his Associates Degree of Science in 2015. Erik moved to Kansas City in September of 2016 to pursue a career in sports medicine or physical therapy. Erik also speaks Spanish and is able to translate and communicate fluently. Having previous experience in the optometry field, Erik has made a great addition to the Ridgeview Eye Care team. Before moving to the Kansas City area, Erik worked for an Optometrist for three years and was sad to leave. 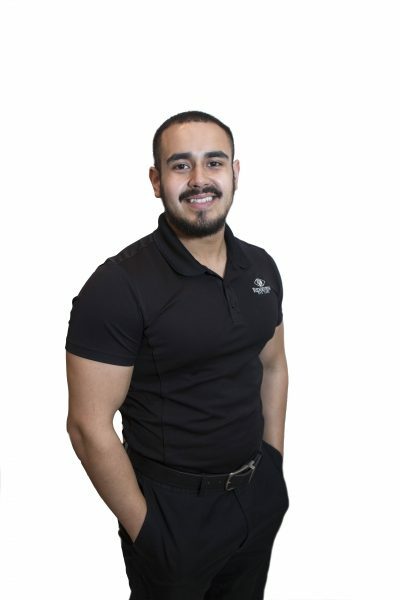 As one of our optometric technicians he is most passionate about the clinical side of our office and really enjoys helping our patients achieve the best possible vision. In his spare time, Erik enjoys weight training, spending time with friends and since moving here he has spent time exploring the city.